How do the contiguous border regimes in Africa precipitate the fueling of transnational conflict? What patterns do such conflicts follow? Who are the victims and the perpetrators? Could transnational dynamics of conflict provide the basis for negotiating lasting peace or, on the contrary, do they fuel conflict? Are there any linkages between, among others, coloniality of borders, conflict, and sociocultural and ethnic relations? 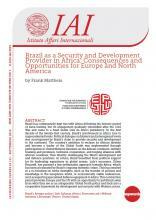 What role could the porosity of borders in Africa play in sustaining and perpetuating conflict? 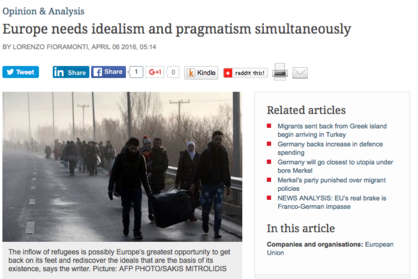 Could the porosity of African borders and migration patterns also provide a foundation for building peace? 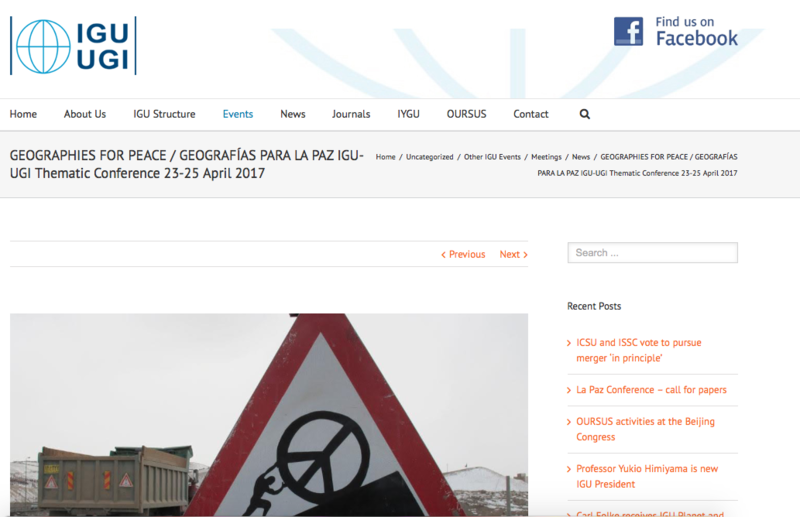 An abstract of no more than 250 words in English or Spanish should be sent to csnzed@gmail.com and minnoxa@yahoo.com and geographiesforpeace@gmail.com on or before 1 December 2016. For more information on the conference visit the website here. How does obsessive regard for territorial sovereignty impact on the readiness and the extent to which the supranational AU, the AU Commission (AUC) and respective member states can and intervene in domestic conflicts occurring in African states? 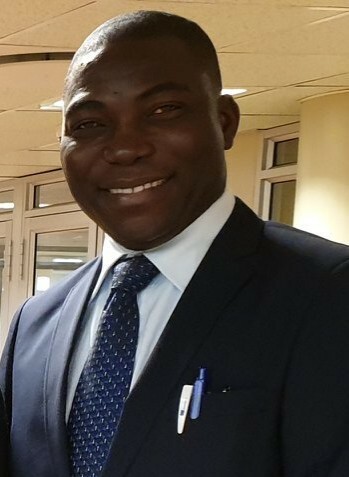 Does the absence of war guarantee a peace that ensures distribution, location and spatial organization of economic activities leading to successful regional integration? Practically, how can ambitions to establish a single geo- political and economic space from Africa’s tapestry of states, economies, cultures and customs by the AU be translated into a mosaic of grassroots, meso- and macro- level actors committed to peaceful coexistence? On the 24th of August 2016 the Zimbabwe Republic Police clashed with protesters over a planned demonstration led by a coalition of opposition parties and the civil society. Since the birth of the citizens’ movement, #ThisFlag earlier this year, there has been an increase in sporadic outbursts of citizens demanding the government to deliver on its election promises. As such, the citizens who in spite of their political affiliations joined forces and launched a mega demonstration on the 24th of August through which they demanded the president Mr RG Mugabe to step down. Initially the police had attempted to block the protest by rejecting the clearance application that had been made by the protesting parties in accordance with the Public Order and Security Act (POSA). According to the POSA, any groups of people intending on holding a meeting are required to notify the police of the event and get permission. This according to the Act, is done to protect and prevent the gatherings from turning violent. Upon notice of the ‘Mega demo’ the police rejected the application citing lack of manpower to monitor the event. Opposition parties however sought the intervention of the high court, which acted in their favour by overturning the decision of the police. Armed with the high court ruling the opposition parties went ahead with their planned demonstration and launched the Mugabe Must Go Now campaign. To their dismay, the peaceful protestors were caught up in the crossfire as police had been deployed heavily armed to attack and disrupt the protest. The innocent protestors were forced to run for their lives while the police fired water cannons, teargas and even button sticks to disperse the crowds. 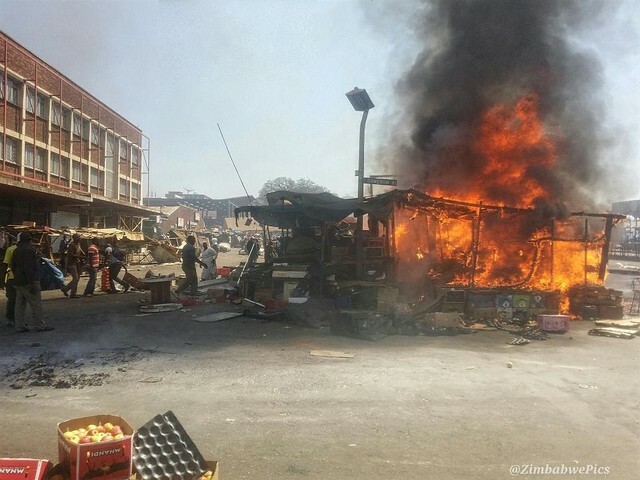 The dire situation also agitated some already desperate protestors who retaliated to the police attacks by torching police vehicles, looting and launching attacks on businesses in the city, thereby escalating the violence to unprecedented levels. By Friday the violence had intensified pushing the government to increase the police force and even deployed the military, a phenomenon that last occurred in Zimbabwe during the food riots of 1998. Though a state of emergency has not yet been declared, the military is now guarding the capital city Harare and some parts of the country are under heavy security surveillance. It appears as if Zimbabwe has reached its breaking point and the government is desperately trying to prevent the Arab Spring phenomenon. 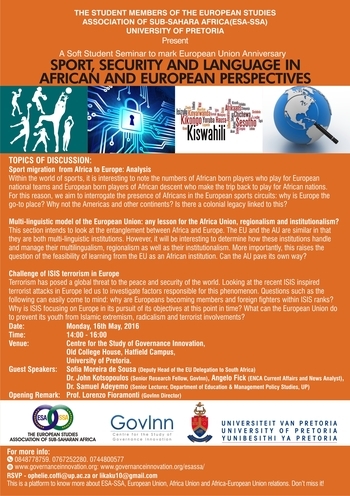 Student members of the European Studies Association of Sub-Saharan Africa (ESA-SSA) are pleased to announce their soft seminar to mark the European Union’s anniversary. Entitled “Sport, Security and Language in African and European perspectives” the seminar will explore sports migration from Africa to Europe, the multi-linguistic model of the European Union and its applicability to African regional and sub regional organisations as well as the challenges posed to Europe by radicalism and terrorism. The event will take place on Monday the 16 May 2016 in the seminar room at Old College House. GovInn director Lorenzo Fioramonti will provide opening remarks and guest speakers include GovInn senior research fellow John Kotsopoulos, Sofia Moeira de Sousa (Deputy head of the EU delegation to South Africa) Angelo Fick (ENCA current affairs and news analyst) and Dr. Samuel Adeyemo (senior lecturer at the Department of Education & management policy studies, UP). http://governanceinnovation.org/wordpress/wp-content/uploads/2016/05/Screen-Shot-2016-05-05-at-9.36.27-AM.png 89 284 GovInn http://governanceinnovation.org/govinnedev/wp-content/uploads/2019/02/Govinne-logo.png GovInn2016-05-05 07:42:322017-02-07 12:53:59"Sport, Security and Language in African and European perspectives"
On March 21-24, 2016, GovInn, the Department of Political Sciences at the University of Pretoria, in partnership with the Wilson Center Africa Program, the Institute for Security Studies (ISS), the Human Science Research Council (HSCR), and the Institute for Global Dialogue (IGD) hosted the annual Southern Voices Network conference in Pretoria, South Africa. 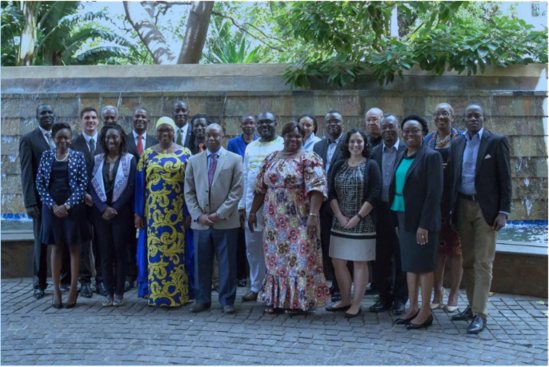 The Southern Voices Network (SVN) is a continent-wide network of African policy and research organizations that works with the Africa Program of the Wilson Center to bring African analyses and perspectives to key issues in U.S.-Africa relations. – See photos from the conference in the photo packet here. The Council of Scientific and Industrial Research (CSIR) and the Centre for the Study of Governance Innovation (GovInn) at the University of Pretoria are accepting applications for a fully-funded, full-time PhD studentship starting in April 2016. GovInn, the University of Pretoria and CSIR have a national and worldwide reputation for excellence in research, innovation and the application of innovative solutions to complex problems. This studentship is part of a collaborative transdisciplinary research project between CSIR and GovInn on alternative approaches to the governance of resources in South Africa and Southern Africa. Research under this particular project simultaneously focuses on two domains: 1) wildlife crime (with a focus on rhino poaching) as a security challenge and 2) transdisciplinary science for addressing complex international/regional security problems. The research, which is the first- ever attempt to use such an approach on such a scale, will make use of innovative, transdisciplinary methods. 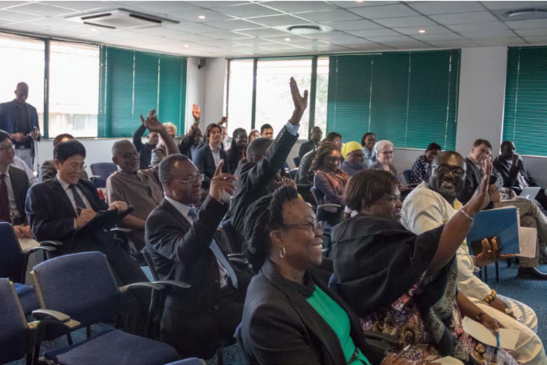 It will involve a variety of local, national and international stakeholders in driving socioeconomic policy and will make practical recommendations for policy innovation and change in South Africa and its region. The opportunity to be part of a transdisciplinary team working on ground-breaking research on a major national/regional project. the role of local communities and societal stakeholders. A relevant Master’s degree in the social sciences. At least two years of work experience. Good command of English and knowledge of at least one local language. Applicant will be required to pass a security clearance. • A full academic CV, demonstrating relevant experience, knowledge of methods and publications (if any). • A two page description of how they intend to approach the problem in one or more of the three topics mentioned above. For further information about the research project please contact Professor Lorenzo Fioramonti (lorenzo.fioramonti@governanceinnovation.org ), Dr. Duarte Goncalves (dgoncalv@csir.co.za) or Dr. Christopher Nshimbi (chris.nshimbi@governanceinnovation.org).